In 2016, advanced Laser Interferometer Gravitational-Wave Observatory (LIGO) opened its ears and detected the first merger of two black holes. Just one year later, LIGO/Virgo made yet another breakthrough discovery: the collision of two neutron stars 130 million light year away. Although the last two years have been action-packed with discoveries, it took Peter Fritschel almost twenty-five years to see these detections become a reality. Although he has a passion for physics, Fritschel always had “an engineering interest” in building instruments. He spent several years after completing his undergraduate degree to scratch his engineering bug by working on laser technology in an industrial research lab. While he enjoyed the daily puzzles and challenges, he felt like an overarching fundamental goal was missing. Because of this, he decided to apply to graduate school and matriculated at MIT, where he (fittingly) studied gravitational wave detectors. Now as a research scientist at MIT, his work specifically focuses on the detectors themselves. LIGO consists of two L-shaped Michelson interferometers. Each arm of this L-shape is 4.5 miles in length, and LIGO must keep a high-powered laser focused down these arms and back in order to measure ripples in spacetime smaller than the size of an atom! Fritschel’s career has allowed him to watch the development of LIGO, from construction to first focus to first detection. As he puts it, “LIGO has been creeping closer to its design sensitivity” due in part to his research. LIGO is currently offline for system upgrades. What does LIGO have in store for us? A typical metric used to measure LIGO’s sensitivity is the range in which we could detect a binary neutron star merger. In LIGO’s last run, this range was between 60-100 megaparsecs (or about 200-300 million light years). Once LIGO turns on again, this range is expected to increase to 120 megaparsecs or higher! This means that the volume we’re able to probe will increase by almost a factor of two! Looking back, Fritschel admits that he “had no idea I’d be working on this […] at this time…” but he encourages junior researchers to always work on problems that they find challenging and they are genuinely interested in. 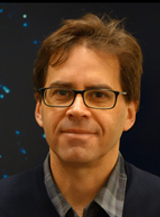 You can hear more about Fritschel’s research during his talk entitled “LIGO: The instruments that launched gravitational-wave astronomy,” at 4:30 PM on Friday, 12th January at #AAS231!